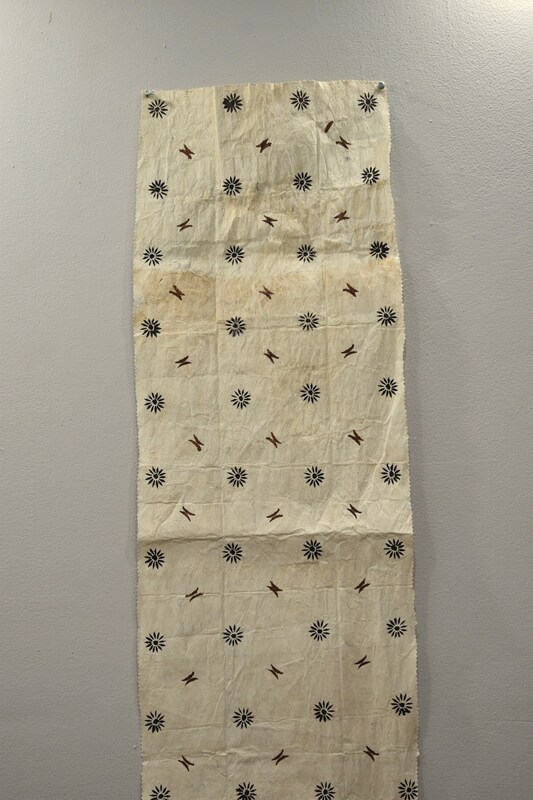 This is a beautiful Bark Cloth or Tapa that is not a woven material, but made from bark that has been softened through a process of soaking and beating. The inner bark is taken from several types of trees or shrubs, often mulberry and fig, and designs are applied with paints and vegetable dyes of light brown, red, and black. Bark cloth is manufactured for everyday needs such as room dividers, clothing, and floor mats, as well as ceremonial uses in weddings and funerals. Though there are a variety of local names, the word tapa, originally from Tahiti, is commonly used to refer to bark cloth made all over the world. The most important traditional uses for tapa were for clothing, bedding and wall hangings. 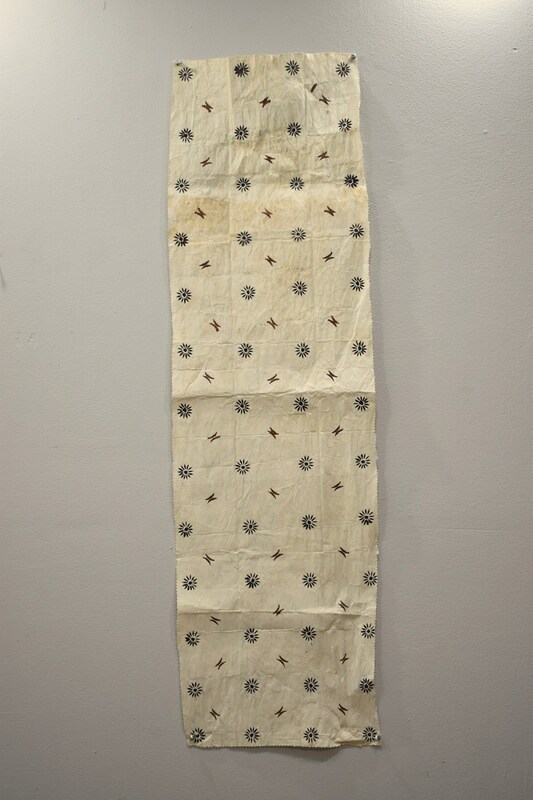 Textiles were often specially prepared and decorated for people of rank. Tapa was ceremonially displayed on special occasions, such as birthdays and weddings. 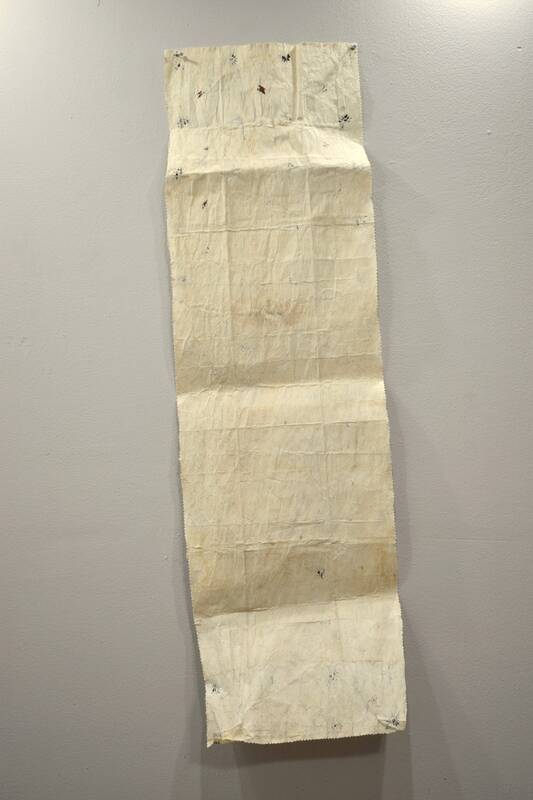 In sacred contexts, tapa was used to wrap images of deities. Even today, at times of death, bark cloth may be integral part of funeral and burial rites. In Polynesia, textiles are considered women’s wealth. In social settings, bark cloth and mats participate in reciprocity patterns of cultural exchange. Women may present textiles as offerings in exchange for work, food, or to mark special occasions. Often huge lengths of bark cloth are publicly displayed and ceremoniously exchanged to mark special occasions. 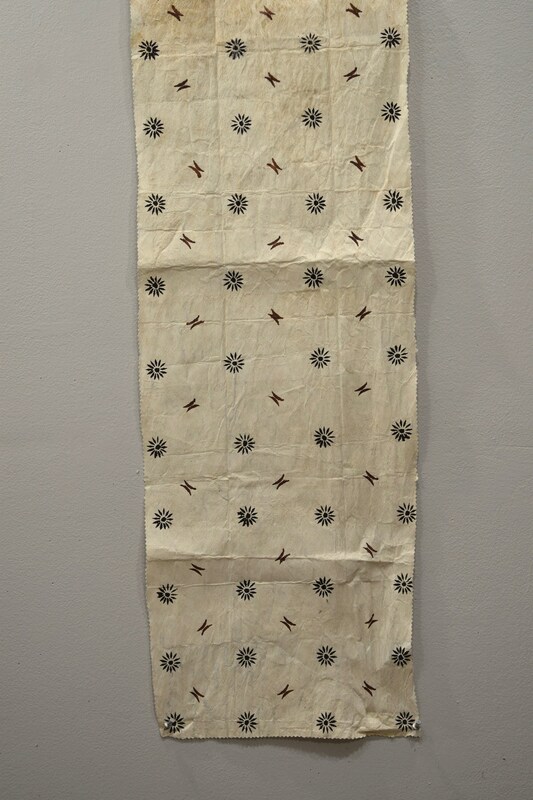 This is a beautiful long skirt bark cloth or tapa that would compliment your collection or home. This skirt shows age, some loss of color, edges wrinkled, but overall in good condition. Rare and Hard to find.